Daniel D. Hannula is a graduate of Marquette University and Marquette University Law School. 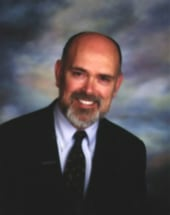 Beginning his practice in 1975, Dan was a prosecutor for the U.S. Navy J.A.G. Corps, and later a Special Assistant with the U.S. Attorney's Office in Portland, Maine. Dan is a member of the American Association for Justice and the Wisconsin Bar Association, and is admitted to practice in Wisconsin and before the U.S. Supreme Court. He is a member, and currently serves on the Board of Directors and the Executive Committee, of the Wisconsin Association for Justice.